As we all know, “New Bike Day” is hands down one of the best days you can have - there is no denying that. But “Body Geometry Fit Day” has changed everything about riding for me. Ever since I’ve gone through this process, I must sound like an overly excited infomercial when I tell people about it, but I promise you, if you care about how you feel on the bike and haven’t had this fit done, you’re doing yourself a disservice. 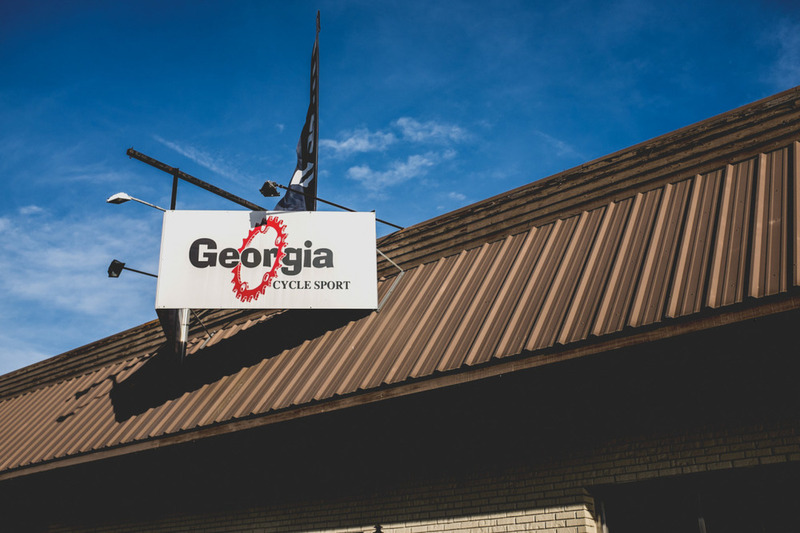 Although I live in Atlanta and there are many bike shops around, Georgia Cycle Sport in Athens (about 1.5 hours away from me) has such an outstanding reputation that I was encouraged to go there. On Tuesday, I left work early to drive North to Athens, GA with camera in tow. What had been a few phone calls here and there was finally happening. My new bike was waiting and Micah, the owner and Fit Consultant at Cycle Sport, would be there to get me all set up. An easy to talk to guy, I was looking forward to meeting him just from the few quick conversations we had already shared. I walked in and was immediately greeted and asked “do you want to see your bike?” He walked me into a small private room to the left side of quite a large bike shop. A red room with Specialized bike parts lining the wall, there sat a beautiful new pearly white Amira Expert Lululemon Edition. I was instantly in love. Now it was time to get started. Micah handed me an iPad to fill out my information and one of the last questions asks if there is anything specific you want to address. Being in the middle of the city, all of my local bike shops in Atlanta are much smaller, so right then and there I was really relieved to be in a private space dedicated to bike fitting. As a woman whose main complaints concerning pains on the bike are female related, I was glad to know that everything I was about to discuss wasn’t for the entire shop and their customers to overhear. Not that it’s embarrassing or anything no one has ever heard before, but it was great to know this was between him and I. No distractions, no pressure. I changed into my kit and we got started.